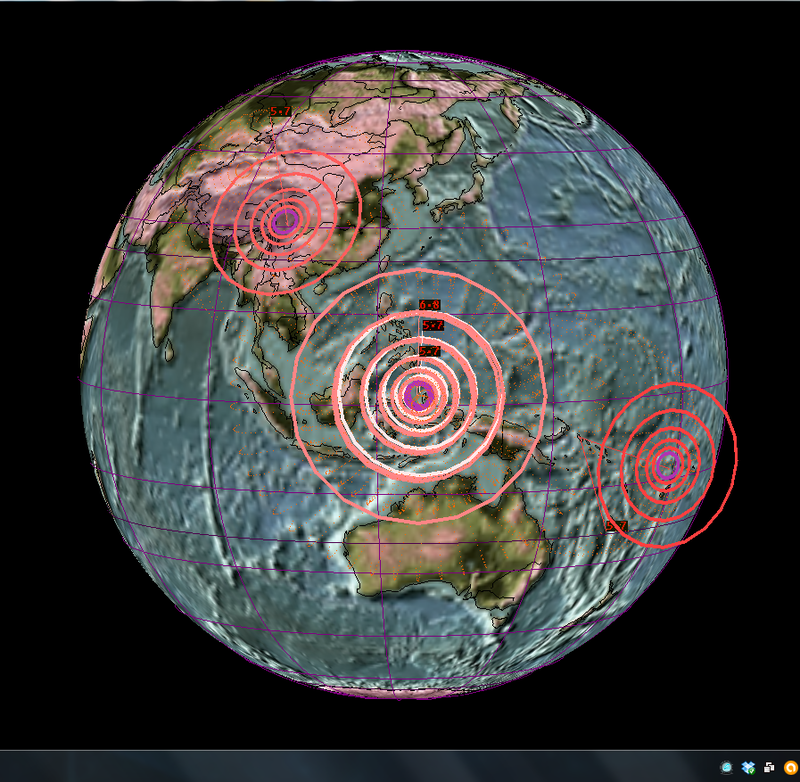 These are latest Data Of Earth quakes from “31st of October 2014 upto 29th April 2015” from the Zones of China, Japan, Pacific Ocean, Indonesian Sea and Autonomous Region of Bougainvillea. As per data available We have observed Earthquakes range increases gradually from 5.0 to 5.7 up-to 6.8 to 7 Mag and it is quite clear from the attached Images, as observed from the data of earth-quakes. After Ingress of the Saturn in Scorpio sign in Visakha Nakashtra with ongoing consecutive tetra blood moon lunar eclipses, after 8th and 4th of April 2014-15, number of earth quakes increased frequently in most of islands, places near oceans and coastal areas. 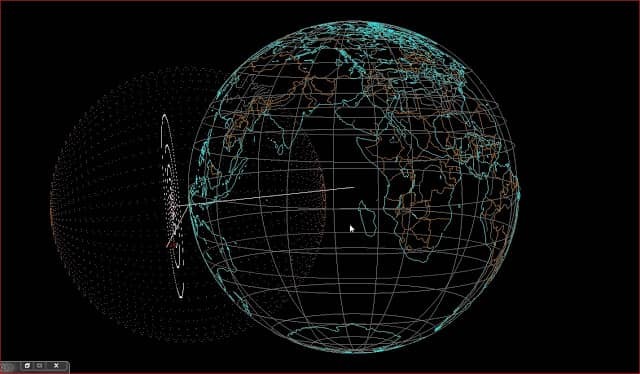 The same observation i had already explained in my last article published on “Saturn transit in Scorpio sign and effect of Blood moon Lunar eclipse around Pacific ocean– ” that there will be an increase in earthquakes activities in oceans or islands or all areas close to water or around these areas” soon after Saturn transit. 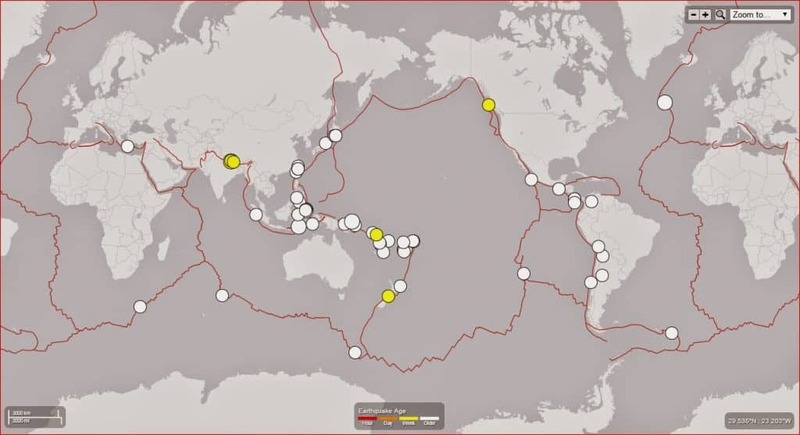 If we look at it closely, it is actually happening right now and it was quiet evident from the collected data, as we have seen massive growth in number of earth quakes activities around water zones signs. After 2nd November 2014 to till date April 2015, we have observed 59 earthquakes occurred till now and most of the earthquakes are occurred around pacific ocean, islands and coastal areas. Last time we have observed, soon after 24th November, clustering of 3-4 planets were transiting in Scorpio sign in Vishakha nakashtra and adjacent to Scorpio sign was Mars and Mercury alignment. 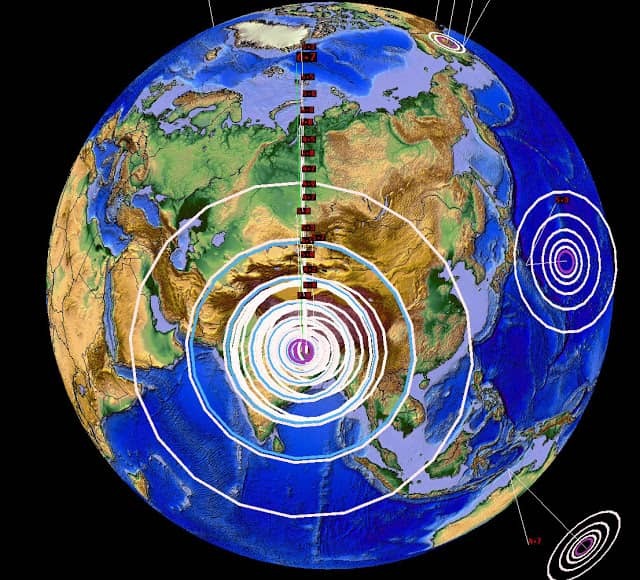 As soon as clustering matured in visakha nakashtra with strong gravitational impact around Scorpio, Pisces and cancer zone areas, almost three rapid earthquake triggered in Indonesian sea. 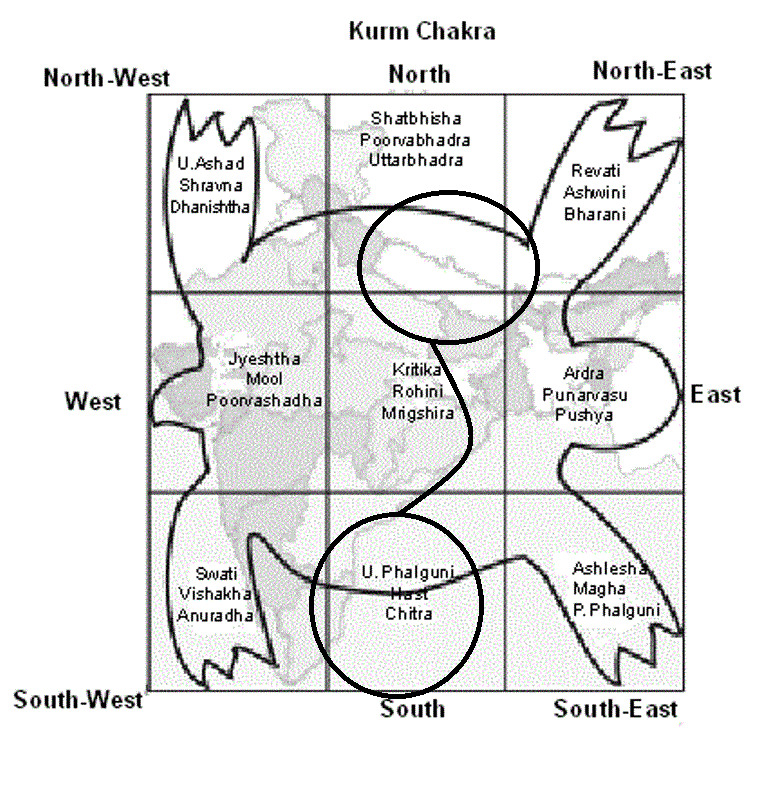 **Important Note** – Based on Kurma Chakara Mapping (Prithvi Chakara – World Chakara Division based on 27 Constellations ) Drawn for World Map it is clearly seen Scorpio, Cancer and Pisces signs have strong zone Near the Pacific Zone, Yellow Sea, Coastal Areas and Islands of Indonesia, Majorly East eastern states.Last time When Jupiter was in Cancer – we had experienced most of the earthquakes only around the Indonesian zones and soon after Saturn ingresses on Scorpio – Grand Watery trine Ignited the Watery Energy Deeply under the earth, around every corners of eastern oceans, majorly in Pacific sea. Interesting point to notice is all the three signs are Watery in nature and i was pretty much sure about that time all these earthquake activities soon should be around islands or oceans because of triangular geometry of watery signs. Last time, Astronomical and Astrological Reasoning of Earthquakes around November 2014 month was : Clustering of 4 planets in Scorpio sign for past few days (Sun + Saturn + Moon + Venus alignment), trine to Jupiter in cancer and presence of south node in respective (Ruling South Eastern Zones) Pisces/Virgo axis (all three are Watery signs) having Close support from Mars and Mercury adjacent to this cluster, in 2nd and 12th house. “Thinking! Thinking! The process should no longer be merely this feeble flurry of hailstones that raises a little dust. It should be something quite different. Thinking should be a terrifying process. When the earth thinks, whole towns crumble to the ground and thousands of people die. It was the day of 25th of April 2015 when dreams of millions of people shattered in dusts, millions of people lost their homes, loved ones, those who were sleeping deep in the seat of lord Buddha in kathumandu day before never thought, there won’t be same night again come in next day and day will become a nightmare of crying’s and deaths of their loved ones. It was a history saddest days for people of Nepal when mother earth took a slight bend and the land of Lord Shiva shivered with 100’s of shocks and the day became a land of deaths and unspoken memories. 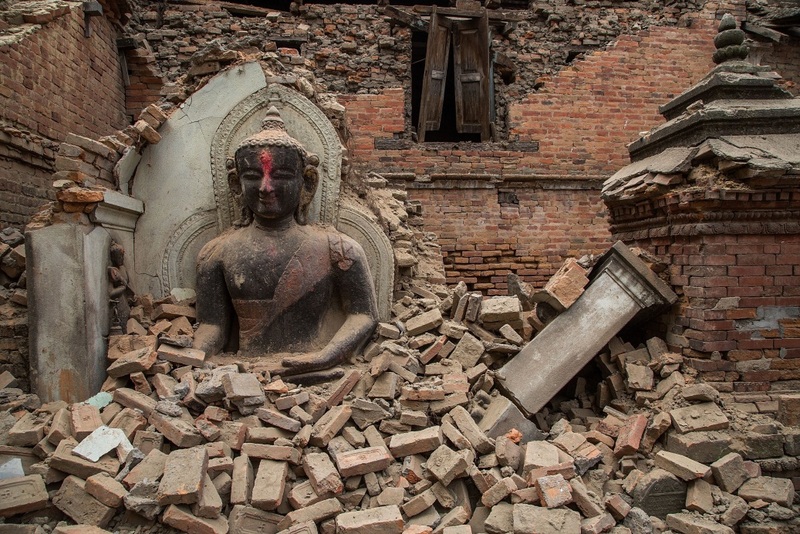 As per the latest official news at least 9,000 people were killed and more than 23,000 people got injured and nearly 3 million people got homeless almost destroyed 600,000 homes in Himalayan country in the history most massive earthquake of 7.9 that struck outside Kathmandu on 25th April 2015 approximately around 11:25:00 to 11:56:00 AM, near Pokhara (Kathmandu, Nepal). As per latest wiki reports, Its epicenter was around east of the district of Lamjung, and its hypocentre was at a depth of approximately 8.2 km (5.1 mi) and it is considered as one of worst natural disaster to strike over Nepal since the 1934 Nepal–Bihar earthquake. 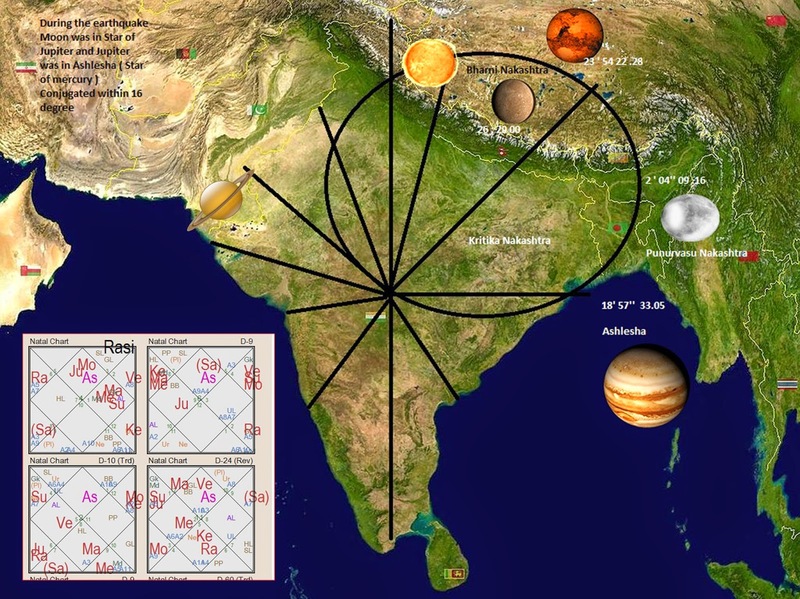 If we look at pictorial representation on Modelling of planetary conjugation done on Koorma Chakara drawn for 25th of April 2015 over India Map, It is clearly seen majority of planets were in the eastern states of India and close to eastern Himalayan ranges i.e. Nepal, Meerut, and UP etc. Under close influence of Aries Sign and most of the planetary alignment were are in “Agni “and “Vayu” Mandala Nakashtras. Both the nakashtras Zones are much prone to give deadly earthquakes in lands and Hilly areas. 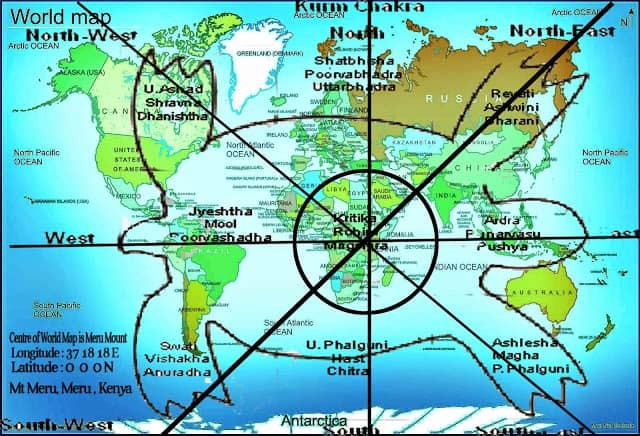 As per Acharya Varahmihira observations on earthquakes termer effects, which occurs on “Vayu” and “Agini” Mandalas prone to give tremor effect up to 200 and 110 Yojanas of distance, which in actual reality is around about 2574.95 KM wide (1 Yojana = 8 Miles, and 200 Yojana = 1600 Miles) from the epic point and this was quiet true on 25th April based on ancients observations and calculations. Recent earthquake was so powerful that the shivering of earth bending and strong Electromagnetic energies felt across whole India. As noted by seismologist, Termer effect felt up to Bihar, Uttar Pradesh, West Bengal, Delhi/NCR, Assam, Uttarakhand, Andhra Pradesh, Odisha, Gujarat, Sikkim, Karnataka, Kochi, Kerala. Again shows our ancient sages work on earthquake activities was so true and even they had noted how long earthquakes activities can be felt and further confirms many of these earthquakes were keeping shaking since the beginning of mother earth from “ages of sage”. Earthquake which shatters dreams of many people in Nepal effects felt up to 2400 kilometres in many parts of India including northern parts of India, Bihar, Uttar Pradesh and West Bengal. Earthquake was so powerful that as many as approximately 100 Subsequent aftershocks observed in east of main shock zone. It was quiet Confirmed from the last two eclipses occurred on March and April month something notorious activity might be going to trigger around 30th of march and 4th of April around those areas, where last Lunar and solar eclipses occurred, near to “Revati” Nakashtras zone ( Ruling Hilly areas, Eastern Directions and mostly places falling in Himalayan Ranges ). In India death toll reached around 78 and many were injured too in Bihar, Chhattisgarh, Jharkhand, West Bengal, MP, Lakhnow etc. 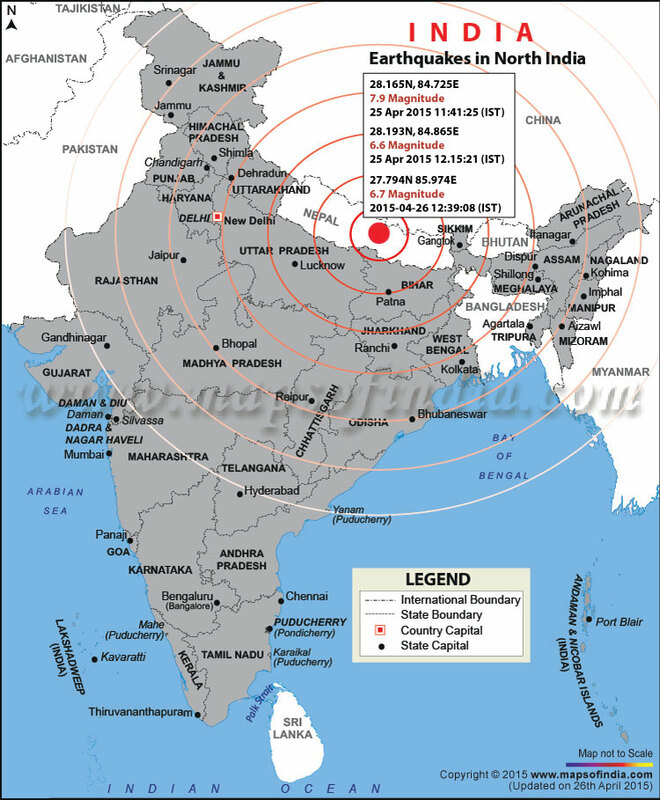 Astrologically, Earthquake Epic centre was triggered in India 12th (Aries Sign) house from lagan of Indian Independence Political Chart and Moon was present with Jupiter in the 3rd house at the time of earthquake (indicates day of the event), 3rd from India chart signifies adjoining places of North and North east of India and mainly signifies Neighboring Countries might be under strong alignment with Jupiter, Saturn, Moon, Mercury and Mars during the event. As per Koorma chakara mapping on India chart, “Revti”, “Ashwani” and “Bharni” nakashtras were close toward North-Eastern regions of India. Earlier, U.S. Geological Survey revised the magnitude from 7.5 to 7.9 but then lowered it to 7.8 and as per China Seismic department magnitude of the earthquake was felt up to 8.1. and according to the sources, quake hit at 11-56 a.m. exactly, in local time it would be around (0611 GMT) at Lamjung. As per Magnitude count since 2014, it was the largest shallow quake since the 8.2 temblor off the coast of Chile on April 1, 2014. In My Recent article on Massive Earthquake of 7.7 Magnitude strikes in Papua New earthquake posted in my blog on 1st April 2015, since the series of tetra Blood lunar eclipses was keep telling as soon as earth move toward two major total eclipses; total solar eclipse on 20th of march 2015 with upcoming total blood lunar eclipse on 4th of April 2015, we might see larger seismic activity from march 2015 to may 2015, which was quite true and series of activities had been noticed since last two eclipses. Below is the short article posted in my research group in Facebook on 23rd of April 2015 regarding planetary alignment occurred after 19th of April? It seems Celestial activities gone increase soon in few months and we can see many frequent changes in weather and environmental conditions, Crops gone dry, there will be High price of food products in few months – i.e. wheat products, Pulses etc., Hike in rare metals and gold price can be seen, Some of places may be under doughty atmosphere, Dryness will be high in atmosphere, there will be sudden rise in temperature, and sudden instability in atmosphere can be experience. Might be we may see sudden rise in temperature, Increase in storms – Dust Storms, Sand Storms etc., increase of heat waves in Eastern and Northern India. 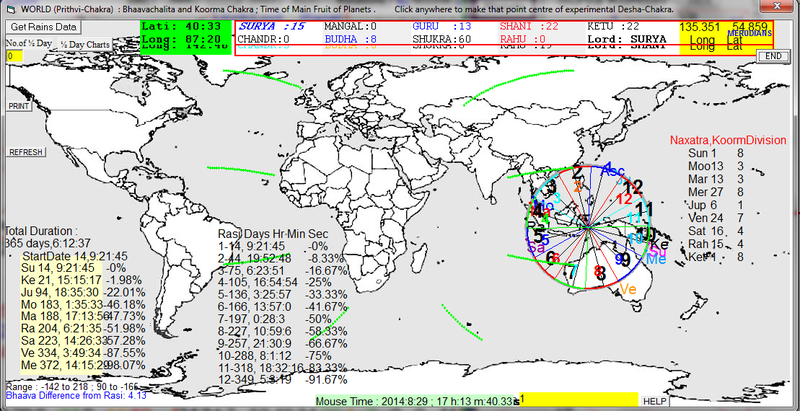 Matter of fact was from march, i was continuously telling my group members as soon as Sun Ingresses into Aries after 19th of April 2015 – we may see a larger earthquake which i had already explained in my last post in my research blog regarding the reason – why we can expect massive earthquake after two eclipses within 1 month or 15 days after eclipses. 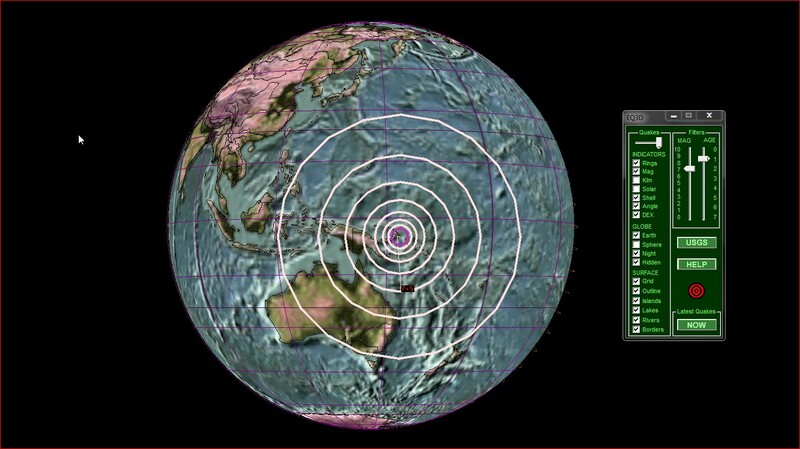 As we had already seen Major earth strikes of 7.7 Magnitude on 29th of March 2015 in Papua New Guinea – exactly after solar eclipse on 20th of March 2015. Next event was the full Moon eclipse which was going to happen on 4th of April 2015. I was quiet Sure about that, as soon as Next full moon will come and after Sun ingresses in Aries we can experience a major catastrophe in Earthquake form or might be in solar storms form. The Last quake with a preliminary magnitude of 7.9 struck before noon (Around 11:25:00 AM) and was most severely felt in the capital as well as the densely populated Kathmandu Valley and again with magnitude-6.6 aftershock hit about an hour later, and smaller aftershocks continued to ripple through the region for hours and up to months shocks were felt. 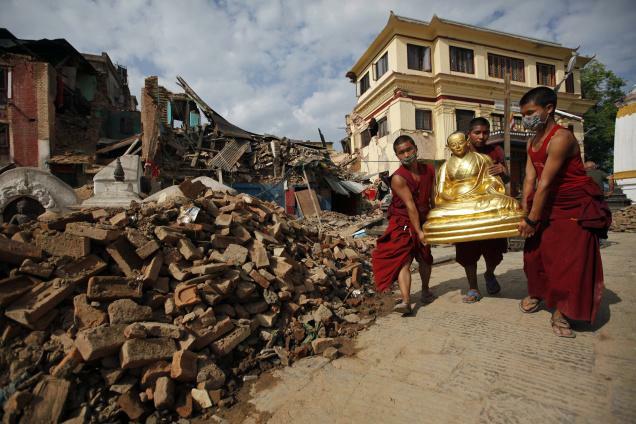 The earthquake also shook several cities across northern India, and felt as far away as Lahore in Pakistan, Lakhnow, Bihar, West Bengal, Orissa, Chhattisgarh, Jharkhand , Lhasa in Tibet, and in Dhaka, Bangladesh. 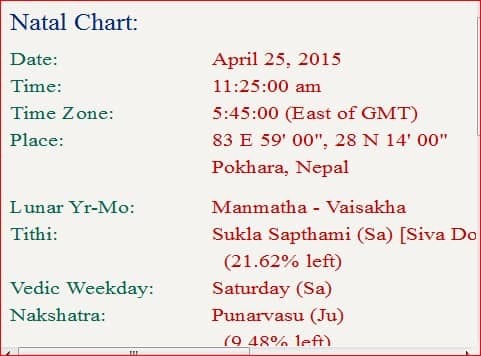 In my last article on earth quake on Papua new guinea, I had already explained why we can face another much massive and huge earthquake after 4th of April 2015, Members can read that post on my research blog on (www.vedicsiddhanta.in) for further understanding on impacts of earthquake after 5 blood moon eclipses. Current catastrophic earthquake event was part of much related to my research on eclipses and their impact on earth which I was keep explaining from articles on celestial activities regarding 5 blood moon lunar Eclipses and two eclipses within 15 days in my research blog. My Observation was based on sudden climatic, environmental and weather changes can be seen in Eastern States of India after close Alignment of Sun, Venus, Mercury, mars around Aries Sign in “Bharni Nakashtra – nakashtra which rules eastern region of India ” and Jupiter and Moon were also acting like catalytic agent in promoting these events. Before this Bihar had already experienced massive Dust storm before 25th of April approximately 2 -3 days back which further justifies that solar pattern was much stronger toward eastern regions. 25th of April Earthquake triggered when Moon and Jupiter was in close Conjunction in the sign of Cancer in Star of Mercury (Ashlesha) and at the same time Venus, Mars, Sun, Mercury were in Star of Bharni (Star Closed to East of India) and Rohini (Star Closed to Central India) and Jupiter were in Close alignment with all – it was quiet assured major gravitational pull can be experienced soon after these alignments. Last Papua New Guine earthquake also triggered when Moon was closely conjugated with Jupiter in cancer sign and this again fall true for Nepal earthquake. 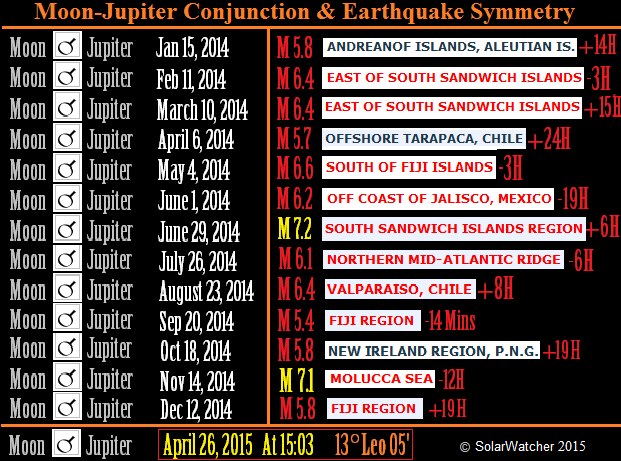 Below is the list of Earthquakes which occurred when moon was in close conjugation with Jupiter in year 2014 to 2015. On 25th of April, Mars was in (23’55’’ – in Bharni – Star of Yama – destruction) , Mercury was in (26′ 31” – Bharni Star of Yama ) and Sun was in (10’41” – in Ashwani ) and all were closely conjugated in Aries. During the time of earthquake it was Star of “ Punuravsu” (A Holy Star – Lord Jupiter Nakashtra and its Lord Jupiter Was ruling the orbit of Nepal and the other eastern States, reference – “ NarapatiJaicharya” ) which was arising in the earth orbit/atmosphere when moon transited in cancer. Nakashtra Lord Jupiter was already with the Moon in cancer – in Square to Mars, Mercury and Sun from 4th-10th house axis. Clearly indicating there will be Major Loss and damage to Lands, Properties, buildings and earth surfaces – Not Oceans and water regions. As, majority of clustering was present in Zenith Point during earthquake, opposite to 4th house – Karka of home, lands and properties. During the earthquake it was cancer Sign which was rising during “11:25 am to 11:56 Am” and “Moon and Jupiter” were in close conjugation in Lagana (signifies Country or State will be impacted by this) aspect-ed by Mars from 10th house and Saturn was in angle (Trine) to Both Moon and Jupiter in 5th house getting aspect from Jupiter too. Venus (Taurus) and Saturn(Scorpio) were in exactly opposite (5-11 Axis -Trines) to each other in between earth and Mutually aspecting to each other from Taurus-Scorpio axis, clearly indicating major portion of India also going to effect by these alignments. Both the signs have old history of giving major earthquakes in India and history of India has observed many earthquake since these alignment occurred. As per Sir K.N Rao both these signs are most notorious signs for Seismic activity in India. 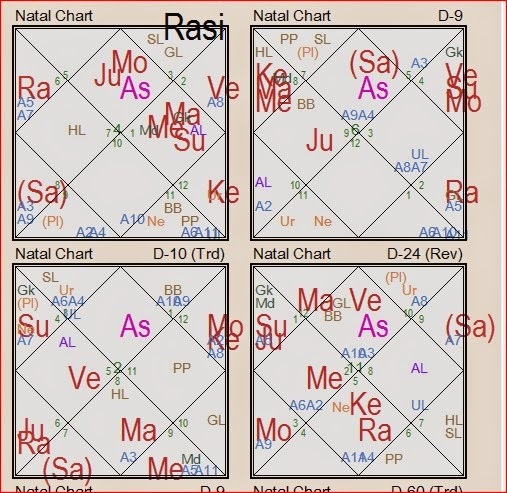 In Navamasa(D9) Chart –Two of major Planets were active in the Eastern region atmosphere in “Agni Mandala” (Mars and Mercury) conjugated in Amsa of Scorpio (Sign of transformation, Suffering, death and destruction’s – Secret places) Majorly Under Nodal Influence of Rahu and Ketu (Sudden Loss and Damage to Life) & Trine to Cancer having Venus, Sun and Moon in it. 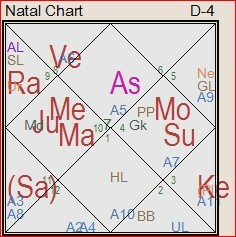 In Chaturasma chart (D4), around when Earthquakes increased up-to 7.9 around 11:56 AM – 4th and 10th house was majorly targeted by the cluster of 5 planets – Jupiter, Mercury and Mars were in 4th house exactly opposite to Moon and Sun in 10th house. From all it is confirming there will be Major loss to earth surfaces, lands, Properties and buildings gone destroy and people living over there will suffer from them. In D1 Tithi Lord of death (8th lord – Saturn in Scorpio) was in retrograde in 5th house (trine to Jupiter and Moon) aspcted from Venus in taurus and Mars from 10th house (8th aspect) – The notorious signs of Earthquakes Ruling Avantika, Kalinga, Gujraat , Rajasthan and Maharashtra. If we Look at Pictorial representation based on ” Kurma Chakara ” as drawn for India – It is clearly Seen Bharni Nakashtra and Aries signs were rising in the Eastern States of India, where Major Planets were closely conjugated and impacting the epic point area (Kathmandu)- the seat of Himalayan Ranges. Mercury, Sun and Mars were in the eastern direction of India and followed by the Venus in Rohini Nakashtra close to centre of India – also the most notorious Nakahshtra for Earthquake, exactly opposite was Saturn there too in Scorpio in Western Region of India where Earthquakes Shakes also felt in Rajasthan too. At the time of earthquake Jupiter was in Ashlesha Nakashtra Moving toward Magha Nakashtra – Nakahstra which have Strong impact on South -Eastern states of India too – i.e. Bihar, Avantika, Kalinga, MP, West-Bengal etc.
. Brihat Samhita by Varahmihira, Chapter 32, and Signs of Earthquake translated by Ramakrishna Bhat, Quote number 31. This was the starting phase of an event was worried about from long time – Earthquake of magnitude about 7.7 took place near Pacific ocean (Triggered due to Grand watery trine). Many times in my recent articles i have pointed why all Blood Moon Lunar eclipses and last year transit of Saturn on Scorpio sign (sign of transformations and deep mysterious of nature and things which are buried under the ground), Jupiter transit on cancer sign (again a sign of watery, sign of large Oceans and Sea), South Node transit on Pisces sign ( again watery sign – Sign of oceans, rivers , seas and deep transformations, hills and mountains), North Node on Virgo Sign ( Sign of Earth – Sign of conflicts – diseases – war like situations – terrorist activities etc) have deep impact on oceans, rivers and lands near hills and mountains. This recent natural event again confirmed my intuition on earthquake activities, why i was focusing on issues related to oceans, seas, and watery diseases will be more prominent after series of natural astronomical patterns happening on Watery signs (Cancer -Pisces – Scorpio). Things were pretty clear from last year watery signs patterns why we are going to face cyclones, earthquakes and tsunamis near oceans and Islands; First it was 20th of March Solar Eclipse on Pisces Sign exactly on ” Vernal equinox – 20th of March ” when day and nights are almost equal. Secondly on 4th of April 2015 Full Lunar Eclipse will strike in Virgo Sign and will be seen in most of North America, South America, Asia and parts of Australia, Much of Asia, Australia, Much of North America, Much of South America, Pacific, Atlantic, Indian Ocean, Arctic, Antarctica. 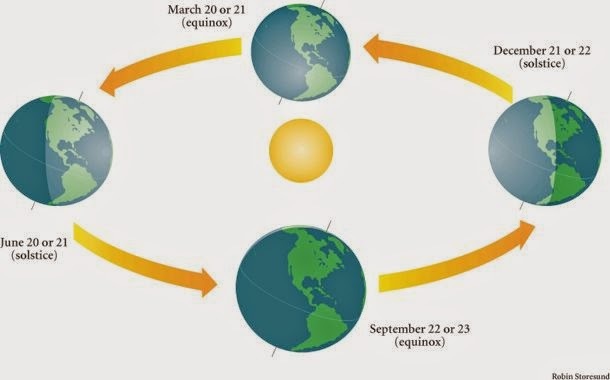 The March equinox signals the beginning of spring in the Northern Hemisphere and autumn in the Southern Hemisphere. During equinox earth’s two hemispheres are receiving the sun’s rays equally. Night and day are approximately equal in length. The word equinox comes from the Latin aequus(equal) and nox (night) which means sun will have maximum impact on earth during equinox points. From the above celestial events it was confirmed that we might see natural happening near those areas which are closer to Oceans and islands. Exactly it happened on 29th/30th of March 2015, Major Earthquake Strikes with 7.7 Magnitude in Papua New Guinea ( Near Australia- Near Pacific ocean) 9th day after full Solar Eclipse and 5th day before full Moon Blood Lunar Eclipse on 4th of April 2015. 1) Earthquake Never occurs during eclipses but they mostly take place exactly within 15 days before or within 15 days after eclipses almost around next new or full moon day, total of 1 month period is important after eclipses. 2) Earthquake often happens either at midnight (around 12 am, Nadir Point, 4th house) or just after the sunrise before midday (around noon time, 12 hr to 3 PM, Zenith Point, 10th house). 3) During Earthquake Major planets like Uranus, Neptune, Saturn, Jupiter, Mars and Nodes are either in trine (1, 5 & 9) to each other or they are in Kendras to each other (means Quadrant distance from each other – 4/10 relationship – Square Relationship). 4) During Earthquake Day, either Moon or Mercury are closer to each other or might be both are closely conjugated within 6 degrees, or might be both are in exactly 180 degree to each other or Moon usually transiting in stars of Mercury or moon might be with Jupiter. 5) During Major Earthquakes triggering after eclipses, Slow moving planets are Often found in Earthy or Windy Signs– Earth Signs earthquakes gave major Disasters to lands where mostly humans are living and windy Signs gives major Disasters to those places which are closer to deserts and dry lands where Mostly Dust storms or wind storms are common and Watery Signs earthquakes gives disasters to those who are either closer to oceans and rivers i.e fishermen, the innocent people, aquatic animals but humans less effected by these earthquakes. 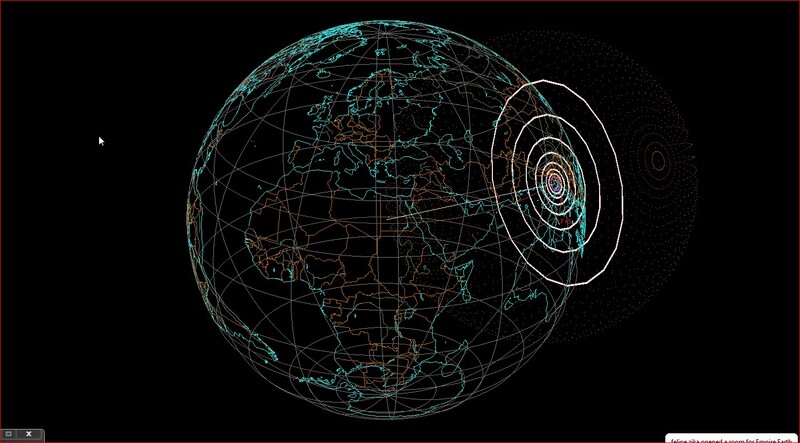 6) The Star on Devastating earthquake day often will be in the orbit of the earth or in the atmosphere. 7) Major Earthquakes Occurs during Sun Shifting toward equinox points or within 15 days after equinox points or during sun ingresses toward 0 or 180 degrees i.e moving from Pisces to Aries sign (March-April Month), during Tropic of Capricorn in December and January, During Tropic of cancer (June-July), and finally during after vernal equinox point. 8) 55.8 % of the earthquakes have occurred during the period covering the 5 tithis (5 lunar dates after Lunar eclipse) i.e days after New moon or full moon day and two days just following the new moon or full moon day including day of the new moon and full moon. 9) 33.5 % Of earthquakes have occurred during chaturdashi (1 lunar day before full moon day – when usually moon enters in full moon phase approximately during midnight) to pratipada (1st lunar day after full moon day or new moon day) including intervening new and full moon day. 10) Earthquake normally follows during eclipses and especially in those countries where eclipses occur in the tenth or the fourth house from their geographical or political charts. Recently 20th March Eclipse Occurred in Pisces Sign and next one will be happen in Virgo sign exactly opposite to Pisces, So it is quiet evident 10th house and 4th house falling from these signs will be more prone to earthquakes i.e for Gemini Ascendant – Virgo will be in 4th house, for Sagittarius Ascendant – Virgo will be in 10th house. Matter of fact is both the eclipses are occurring within 15 days to each other – means Two Major events within 1 month – Pointing me toward something big notorious activity will be played by nature near around oceans and islands as mostly watery signs are much influencing because of recent astronomical patterns and transits. This happened true, On 29th/30th of March a powerful earthquake rattled the South Pacific nation of Papua New Guinea on Monday Morning and warning already given on 29th of march around 7:40 PM after the sensation felt around this island on evening, prompting officials to issue a tsunami warning for vast swathes of the Pacific and as far north as Russia. In Papua New Guinea Natal Chart, Jupiter is Currently transiting in 3rd house from Taurus ascendant ( Impacting Both 3rd-9th axis – Trine Houses ), Saturn is currently transiting in 7th house Impacting both Ascendant and 4th house (again Kendra Houses or Quadrant houses – 4-10 Houses ), South Node is in 11th house Directly influencing 5th house (Trine house), Neptune is in the 10th house from the Natal chart( Impacting both 4th and 10th – Square relation) and North Node is already in 5th house in Virgo Sign. 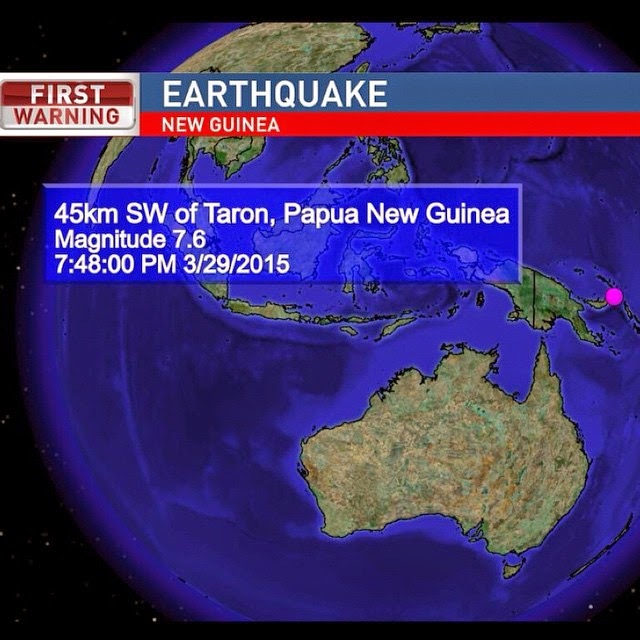 At the time of earthquake Mars and Venus Were in 12th house from Papua New Guinea – in the House of Loss- Earthquakes on Watery signs usually gives Destruction to animals or species which are living around islands or Oceans and earthquakes which are occurring in Windy or earth signs usually gives massive destruction’s to those who are living in Lands – i.e Humans. Neptune was in the 10th House ( 4/10 relationship). Sun, Uranus, South Node and Mercury was in the 5th- 11th house axis (Impacting trine house from direct aspect on 5th house of natal chart of Papua new Guinea ). Solar Eclipse was occurred on 11th -5th Axis ( Trine houses) which means it wont give major loss in lands, though it will create social hype much. At the Day of Earthquake Warning Day – Moon was in Closely Contact with Jupiter in 10th house in the star of Pushya (Star of Saturn – Star lord was already placed in the 7th house from Papua New Guinea Chart – Kendra Placement- Square to Natal Chart) impacting both 4th and 10th house. Mars and Venus were in 7th house impacting both 7th and 1st house. 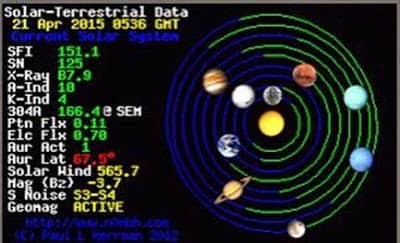 Saturn, Uranus, Jupiter, Moon, Sun, Mercury, South Node ( Ketu) are in trine to each other at the day of Earthquake which means Strong gravitational pull will be experience soon by all trine planets. 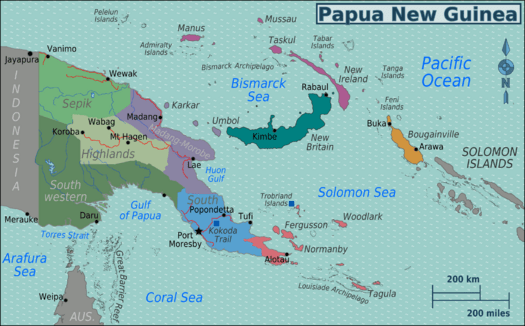 On 29th/30th of March, Exactly The magnitude -7.7 earthquake struck at a depth of 65 kilometers (40 miles), about 50 kilometers (30 miles) southeast of the town of Kokopo in northeastern Papua New Guinea, the U.S. Geological Survey said. At the time of Earthquake Mercury was closely Conjugated in ” Uttrabhadra nakashtra – Star of Saturn ” falling in 7th house of Papua New Guinea, With Sun, Uranus and South Node in Pisces Sign in 6th house on 29th of March. Moon was with Jupiter in Cancer Sign (Watery Sign of oceans) trine to Sun and Mercury in Pisces ( Again watery sign – close to hills and Water) in 10th house – impacting both 4-10th Axis. Venus and Mars was in 7th impacting Ascendant and 7th Axis. Though 8th house is clear there wont be any major loss of lives for this earthquake. In My software it is clearly seen – Depth of earth quake is quiet deep ( 65 kilometers (40 miles) – from 60 onwards earthquakes are categorized in Class 2 Earthquakes – Having medium impact on lands – but more will be in oceans on aquatic animals – as epic points are in center of watery signs and vast oceans )), so wont be much damaging for human lives but aquatic animals and people living over sea shore may suffer much, it seems Impact will be more experience when another major pull will trigger in watery signs over other part of pacific oceans in coming days might be after 4th of April 2015 – when Moon, Sun, Mercury, Jupiter and Uranus will be in alignment deeply toward oceans, More gravitational pull can be experienced. For more Impact we need to wait for Blood lunar eclipse which will be happen on 4th of April 2015, again it will impact Virgo Sign – Moon will be in Exact opposition to Mercury, Uranus and Sun + South Node in Pisces on 4th of April 2015. Currently Virgo – Pisces Axis is in Major hit area now and Flood Like Situation already Hitting in India in Kashmir and continuous rain is following from last week. 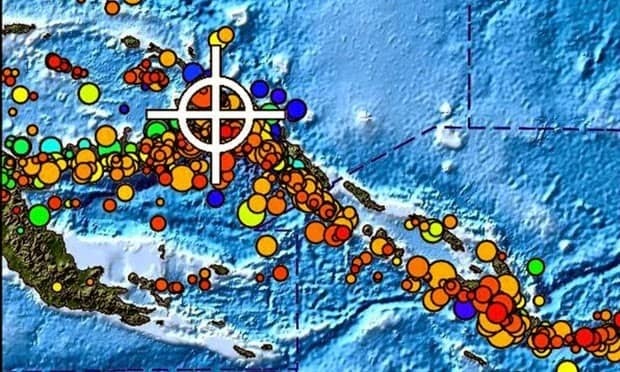 The Pacific Tsunami Warning Center said hazardous tsunami waves could hit coasts located within 1,000 kilometers (620 miles) of Kokopo, with waves between 1 to 3 meters (3 to 10 feet) possible for Papua New Guinea. Farther afield, tsunami waves of less than 0.3 meters (1 foot) could hit other Pacific island nations, Russia, China, Japan, Australia, New Zealand, the Philippines, Indonesia, Hawaii, Mexico, Guatemala, Costa Rica, Panama, Colombia, Ecuador, Peru, Chile and Antarctica later Monday, the tsunami warning center said. The Japan Meteorological Agency, however, said there was no tsunami risk to Japan from the quake. Eclipses have major reasons in bringing earthquakes, cyclones and tsunamis reason being, during eclipses earth Magnetic field is Majorly Under gravitational pull of Moon, Sun and Mercury which are very closer to earth. Elemental composition of both Moon and Mercury are majorly responsible for changing weather conditions in earth during eclipses. Both are acting like two Strong Magnetic celestial bodies having solid rocky composition and beneath core is Solid iron core which have strong impact on earth magnetic field and weather conditions. Core Structure of Both Moon and Mercury is act like two magnetic bodies are attracting and pulling earth from both the sides. Now Mercury already Joined Pisces with Sun and Uranus – So Pull will be much more stronger after Vernal equinox .